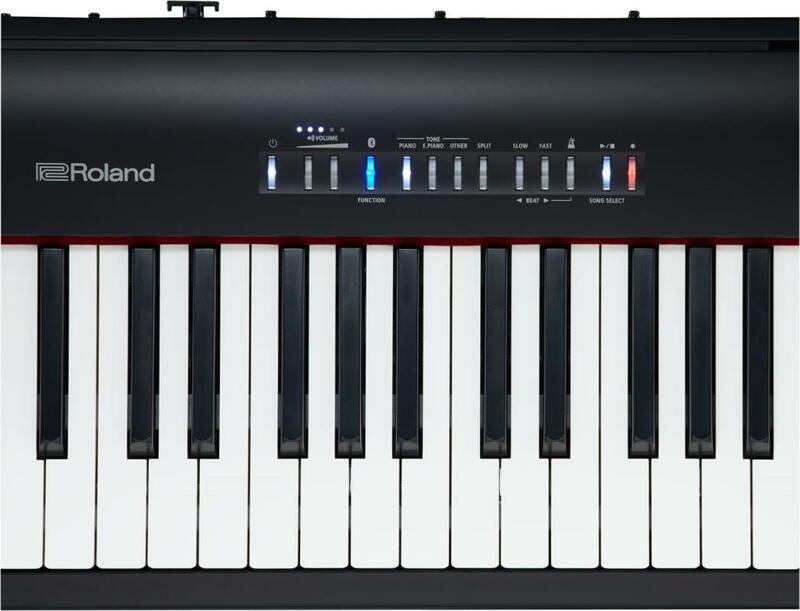 The Roland FP-30 is the Perfect Digital Piano for those Looking for a Realistic Feel and Sound. Ideal for Home use or in the Studio. 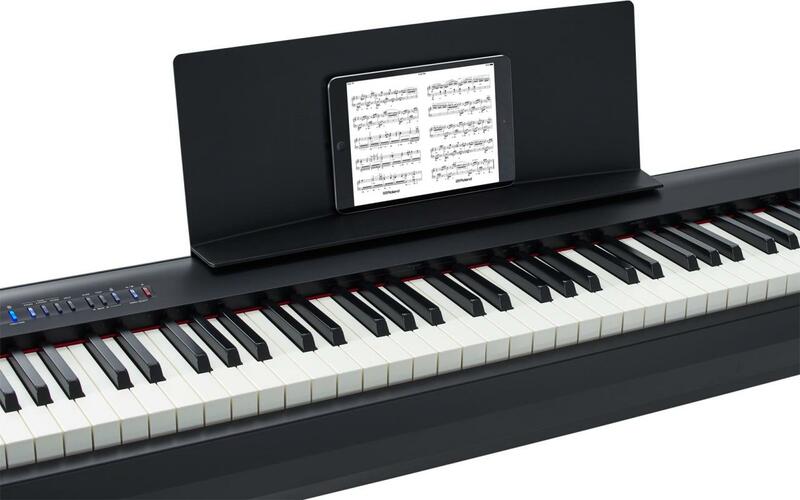 The perfect digital Piano for those looking for a realistic feel and sound. 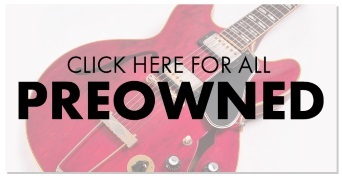 Ideal for home use, out gigging or in the studio. Roland's FP-30 digital Piano is the successor to the world famous Roland F-20. From the ground up, it has been designed for those who have dreamt of having a piano, but may not have the available space or budget for a full-size grand. The Roland FP-30 may be light and portable, but no expenses have been spared when it comes to quality. Featuring built-in speakers and professional quality keys that provide an authentic piano touch with maximum expression. There is also a headphone output, and quiet keystroke, allowing you to enjoy quiet practice. The FP-30's 'Ivory Feel' keys are found on many of Roland's high-end home pianos and they offer an instantly recognisable feel when playing. The keys are smooth and comfortable whilst their action is solid and responsive. Combined with the FP-30's 'PHA4 Feel' that gives each key a sharp response to even the most minute hand movement, the FP-30's keys provide the detailed articulation needed for both professional and learning players. The brain of the FP-30 is the Roland 'SuperNATURAL' sound engine, producing accurate and detailed tones for acoustic grand pianos and various other instruments. The FP-30 also produces non-piano sounds such as strings, voices and classic organ tones, two tones can be played simultaneously or the key array can be split down the middle to have two sounds per side. 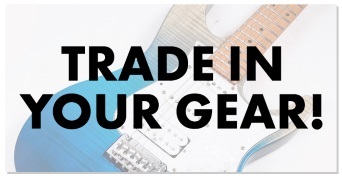 Roland has also taken it a step further by adding built-in practice and recording functions with Bluetooth connectivity for popular music apps and training programmes. The Roland FP-30 is lightweight and highly portable, perfect for the home, classroom, studio and on the road. The build quality is notably robust whilst the keys have a superbly smooth action and the backlit button array above looks great and doesn't visually spoil the FP-30 simplistic beauty. For the price, the Roland FP-30 is one of the best digital pianos on the market.